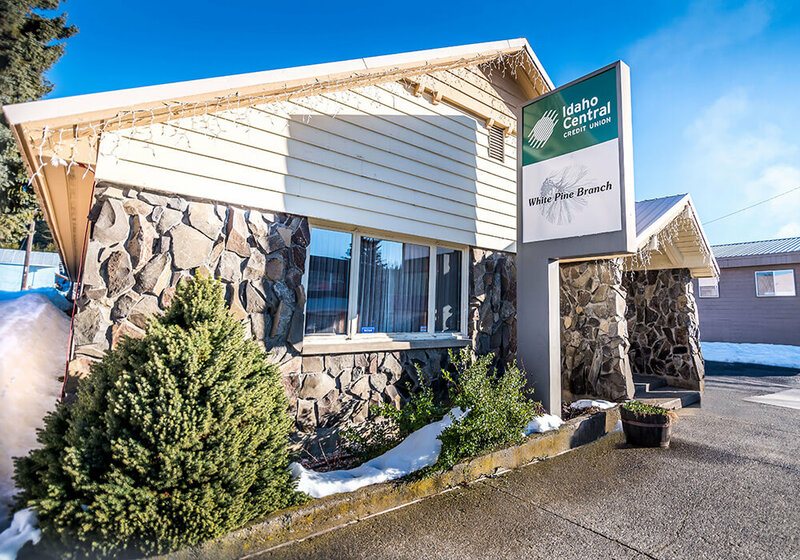 Our White Pine Branch is situated in the mountains of Pierce, Idaho. This location gives Idaho Central and even bigger service area for our members. We are excited to be in North Idaho to serve all parts of the state. Idaho Central is the premier credit union in Idaho and offers many full-service locations throughout the Treasure Valley, Magic Valley, Eastern Idaho and North Idaho. We continue to look for expansion opportunities in order to meet the needs of our members. While growth is vital to our success, we remain focused on our mission, helping members achieve financial success, by providing exceptional service and diverse products to our membership. Banking should be easy and with Idaho Central you can have all your banking needs serviced at one location. We offer solutions for youth, college accounts, personal accounts, investments, and business solutions. Banking on the go has never been easier. You can make mobile deposits, pay bills, and transfer money to others from your mobile device or tablet on the go.